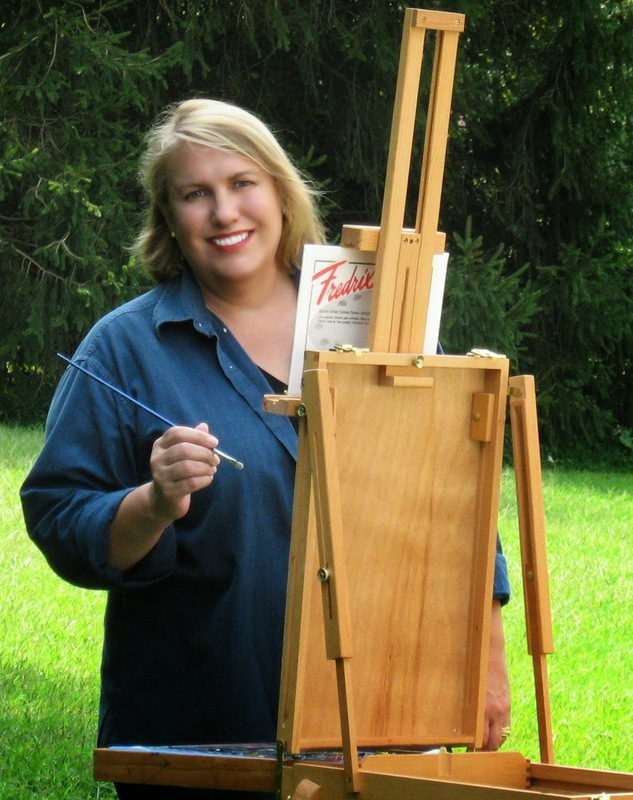 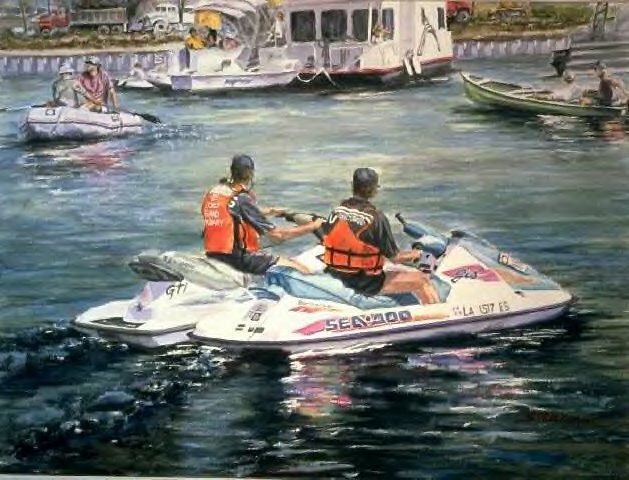 The Coast Guard Art Program (COGAP) uses fine art as an outreach tool for educating diverse audiences about the United States Coast Guard. 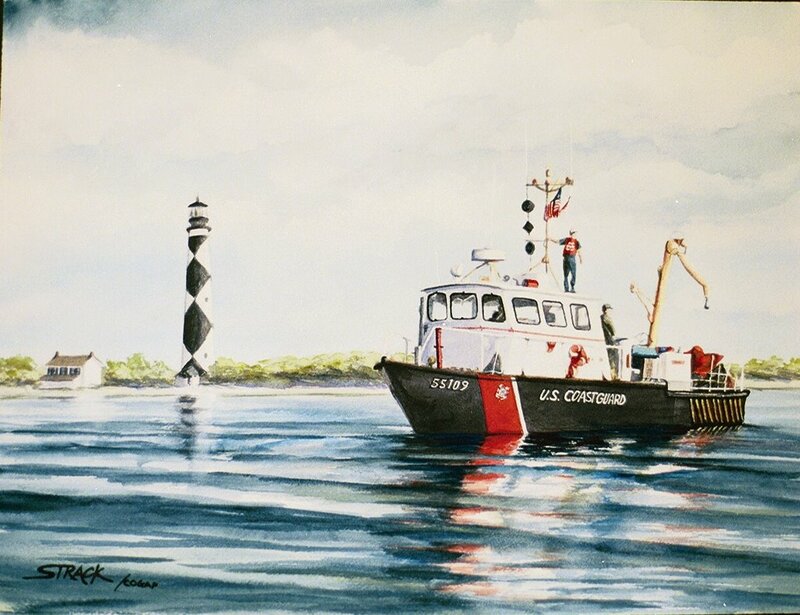 Through public displays at museums, galleries, and patriotic events, Coast Guard art tells the story of the service's missions, heroes, and history. 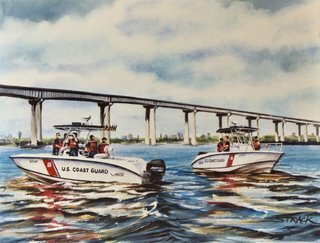 Coast Guard artists are professional artists who donate their time and talents to help COGAP tell the story of the Coast Guard. 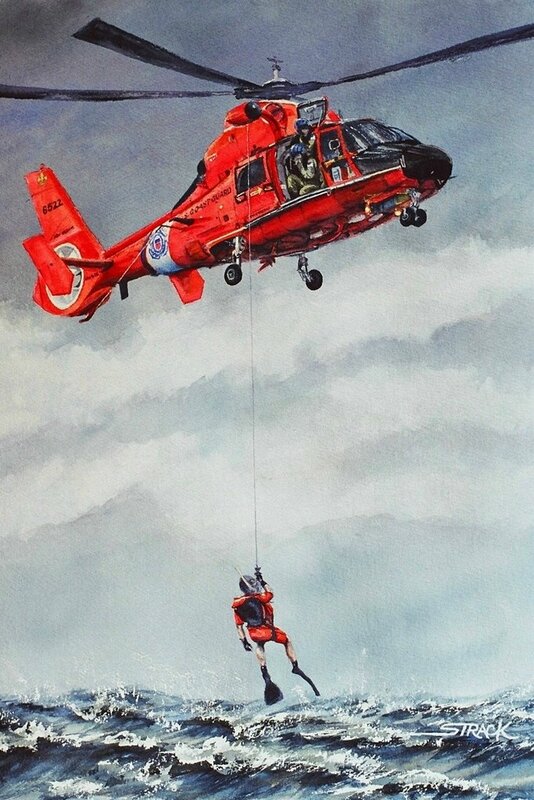 I'm often invited to accompany USCG units on specific missions so that I can shoot reference photos and gather the information I need to create the paintings for this important national collection. 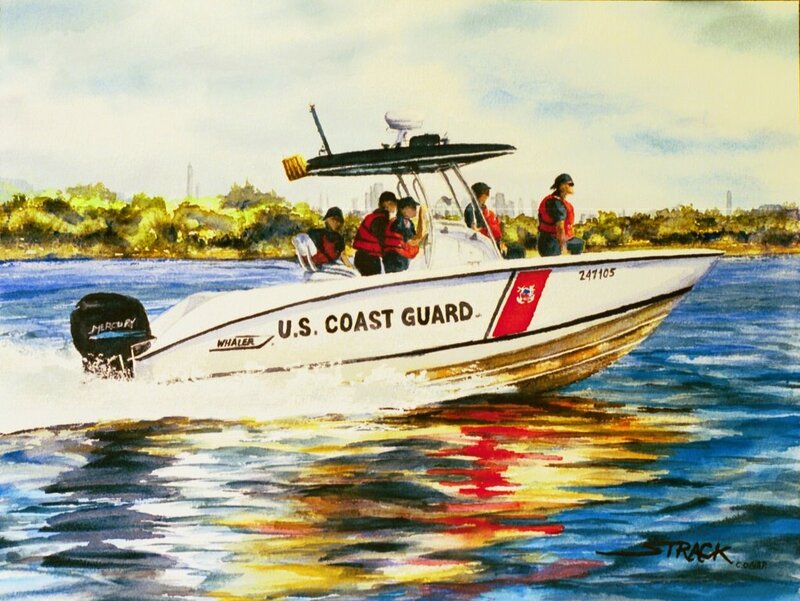 I'm both honored and proud to be an Official, Authorized Artist for the USCG. 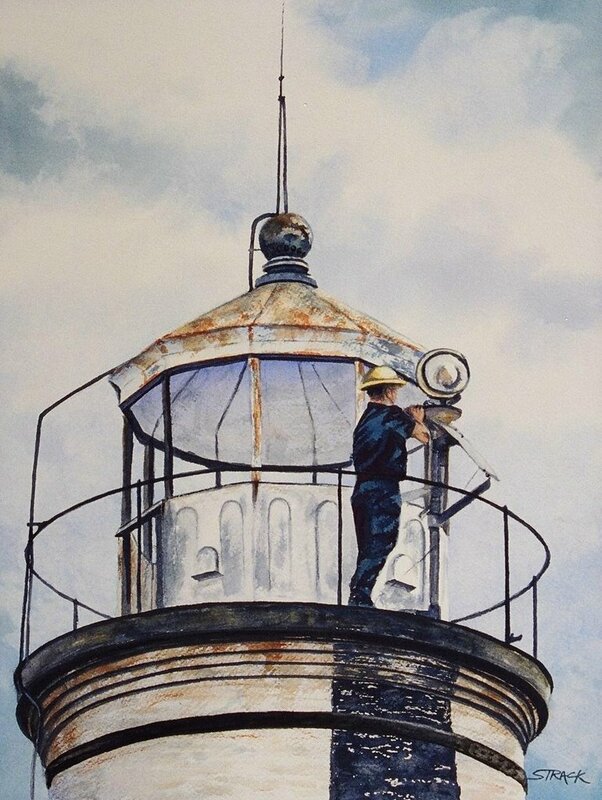 All paintings on this page are in the permanent public collection of the United States Coast Guard. 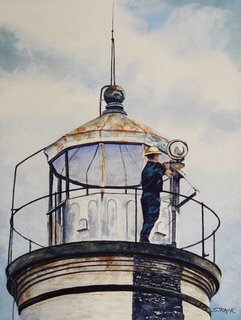 "Repairing the Light" 30"x24" A crewmember of the USCG Construction Tender Pamlico repairs the beacon of the Tchefuncte River Lighthouse on Lake Pontchartrain. 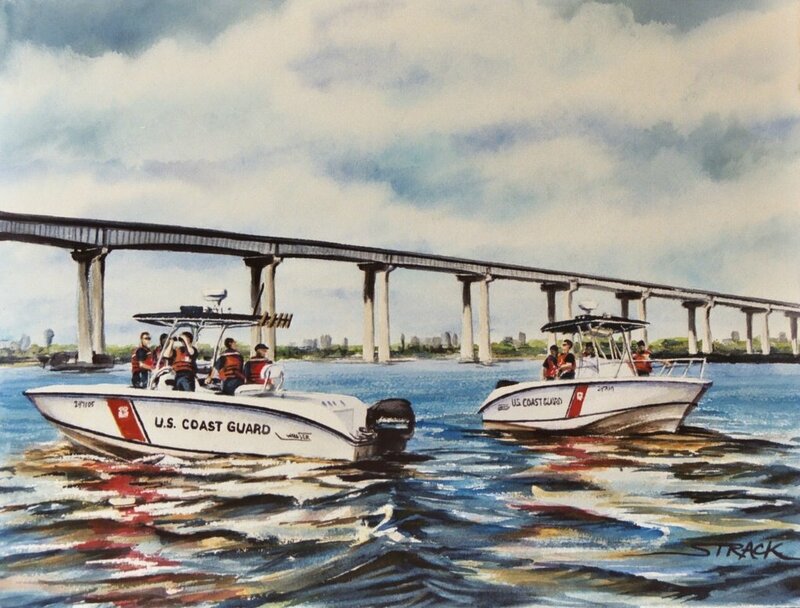 "USCG The Lookout" 20"x24" Marine Safety Unit Lake Charles personnel conduct port security and law enforcement training near the I-210 bridge in the vicinity of major oil refineries. 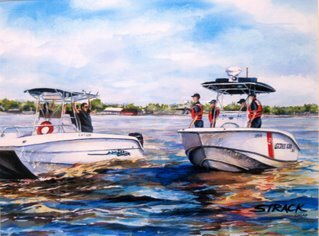 "USCG The Chase" 20"x24" Underway on a 24' utility boat, Marine Safety Unit Lake Charles personnel conduct a port security patrol and check of critical maritime infrastructure along the Calcasieu River. 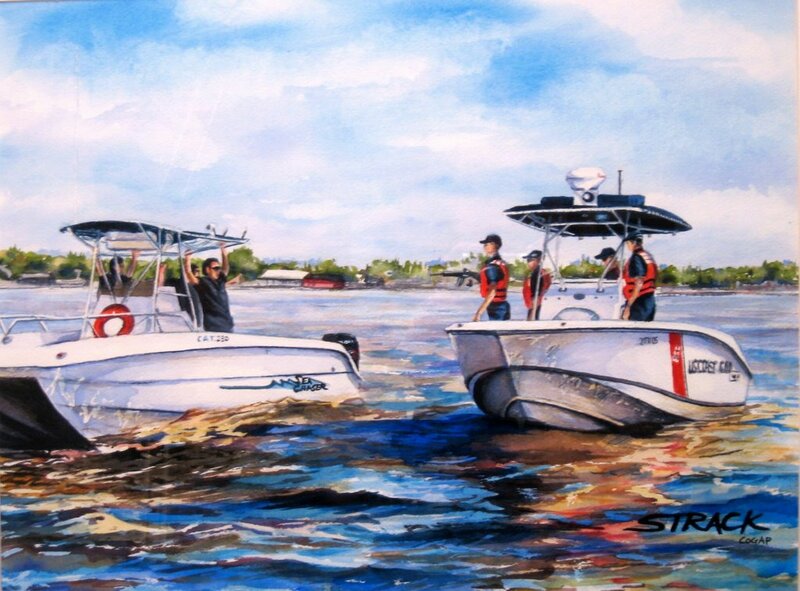 "USCG The Capture" 20"x24" Marine Safety Unit personnel intercept suspected activities during a port security patrol. 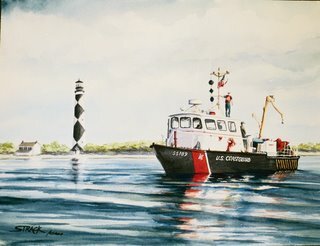 "USCG at Cape Lookout" 20"x24" USCG Constuction Tender passes the Cape Lookout Lighthouse on it's return to Harker's Island Station. 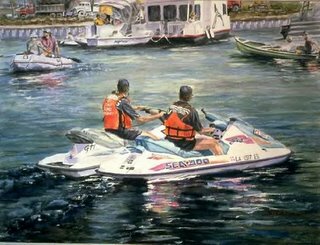 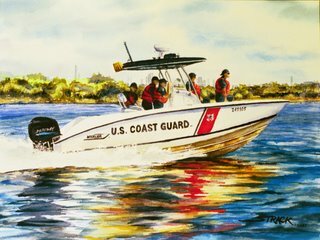 "USCG Auxiliary Patrols the Tchefuncte River" 30"x36" USCG Auxiliary plays an important role in supporting and assisting the missions of the Coast Guard.